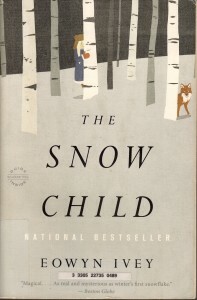 The Snow Child is an expanded retelling of a Russian fairytale about a childless older couple who builds a snow girl one wintery night. The snow girl comes to life, but then gets too warm in the spring and she melts. 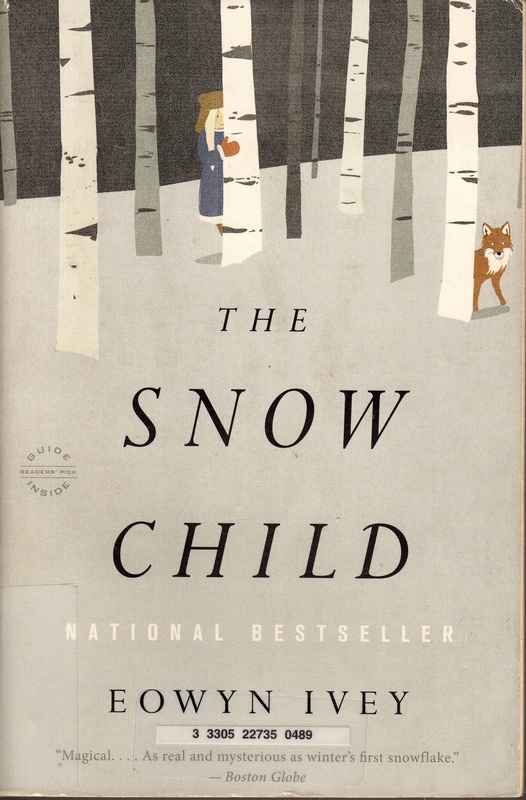 In this version, the older couple is homesteading in Alaska in the 1920s; they are estranged because they’re both bottling up their feelings about the fact that the only child they were ever able to conceive was stillborn. But once their snow girl, Faina, comes to life, they open up as well, with each other and their neighbors. Faina stays several years, disappearing in the summers. She grows up, and you start to think that maybe she’s not magical, maybe she’s just a girl (and then a young woman). Maybe. Look, I almost put The Snow Child down in the first thirty or so pages, the language and symbolism was all about winter == old == death and depression. It was effective and I almost couldn’t take it. But get through that, and you’ll be rewarded with a tale about a family who learns to share their emotions and how to be friendly. They become fuller people through love, which sounds schlocky and sentimental but it’s done delicately and gracefully. The balance with winter white and sparseness and elegance is done well. Overall, a very good book.